My work entails some of those things no one truly loves, like paying bills, but it also involves flying airplanes for review. That part is indeed quite a pleasure. 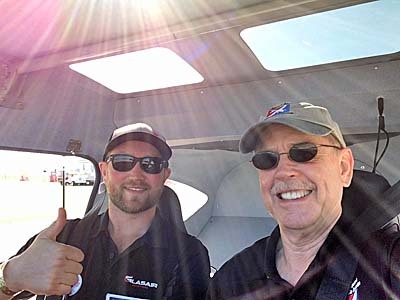 In this post, I want to tell you what I flew at the DeLand Showcase 2017 plus a little about how we do these VPRs or Video Pilot Reports. 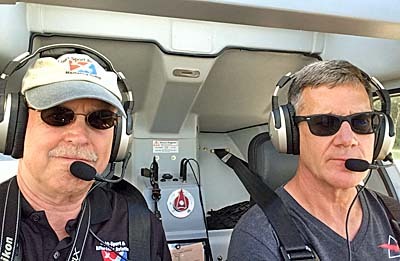 At DeLand 2017, I went aloft six times, five to evaluate aircraft and once on a photo (and video) mission. Video reporting consumes much more time than an interview, 30 minutes or more simply to attach some or all of our eight Garmin VIRB cameras inside and outside the subject aircraft. Especially, securing cameras on an aircraft’s exterior has to be done with care. Taking all the cameras and mounts off is far faster. 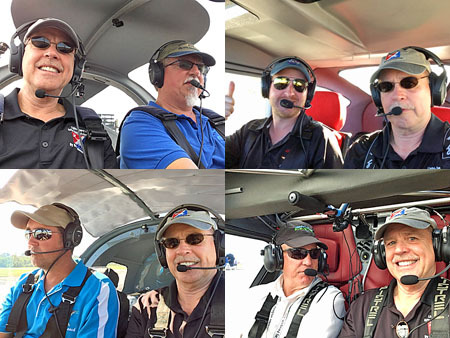 VPRs will be coming on Evektor’s Harmony, Aeropilot’s L600, The Airplane Factory’s Sling LSA, and Pipistrel’s Sinus motorglider. The photo/video shoot gave Videoman Dave the footage he needs for a video about Flight Design’s CTLSi. Gathering the flying experience and the footage are up-front exercises but then the real video work begins: editing. I think you should be very glad Dave is willing to sit in a darkened office for hour after hour after hour to assemble these videos. Your interest in them makes the work worthwhile and your support of this website and Videoman Dave’s YouTube channel are deeply appreciated. Performance and stability checks include — but, as lawyers love to write, “may not be not limited to” — handling qualities, high speed flight, slow flight (both while checking various engine parameters such as temperatures and fuel burn), slow flight, steep turns, and a thorough group of stalls: approach and departure stalls as well as accelerated, or turning, stalls. I fly on whichever side of the aircraft the representative pilot does not wish to fly. As a former flight instructor I am comfortable in either seat. Before or after I do my routine, I generally ask the rep’ pilot to show me anything he or she would perform in a purchase demonstration flight. Once in a while this gets especially interesting. As with the videos interviews I conduct — which often result not just in a video but also a post (or even a print magazine article) — I try to ask the questions you would ask if you had the opportunity that I have. Hey! As stated at the outset, I agree I have a pretty cool job. Thanks SO much for reading posts and articles, for watching videos, and generally for supporting this work. If you really want to help, please consider membership but I’ll end the pitch and repeat my gratitude for clicking or tapping your way to this website. When Peghiny himself has a tinge of grey, I know we have been doing this for a long, long time.